Working with people would be great if they weren’t so unpredictable. Everyone wants something different from their work life – how can you keep your staff when you don’t have endless pots of money, incentives and other options to offer them? 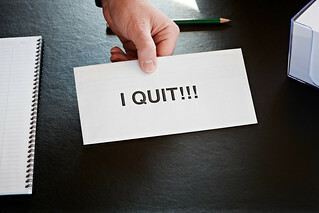 Losing your best staff can be an unsettling, expensive business. A conservative estimate of the cost of staff turnover In Australia it is 75 per cent of their annual salary. Staff don’t just cost you salary and extras, they cost an additional 75 per cent of their salary when they leave. Is that a scary thought? Take a moment for this figure to sink in. If you lose a staff member with an annual salary of $75,000, you’ll pay $56,250 in recruitment, selection, induction, training and lost productivity. How often do you factor these costs into the cost of your staffing? How often do you consider the cost of your staff from this point of view? As a business leader and manager it should make you try to keep your staff as long as possible – particularly your best staff, because they always have options about where else they could work. What is it going to take to keep your best people? Did you know that over three quarters of working parents want flexibility? Study after study show the value of flexible work for turning the tables in favour of employers. Many employees would rather stay with an employer that offered flexible work than leave to obtain a pay rise. In fact, 43 per cent of employees would choose flexible work over a pay rise. Similarly, the Australian Institute of Management VT found in a national survey that more than 50 per cent of employees who intend to remain with their current employers attribute their loyalty to the availability of flexible arrangements in their workplace. Flexible work could be the surprisingly cost-effective solution to retaining your staff. It could mean anything from offering time in lieu to the option of telecommuting, from part-time hours to a compressed working week. Not sure how to make the most of flexibility and avoid the pitfalls? The Workplace Gender Equality Agency has recently taken this issue on board and is providing free advice in the form of toolkits. I’ve had something to do with the toolkits (as the lead author), so I can recommend their approach. This article first appeared on First 5000.